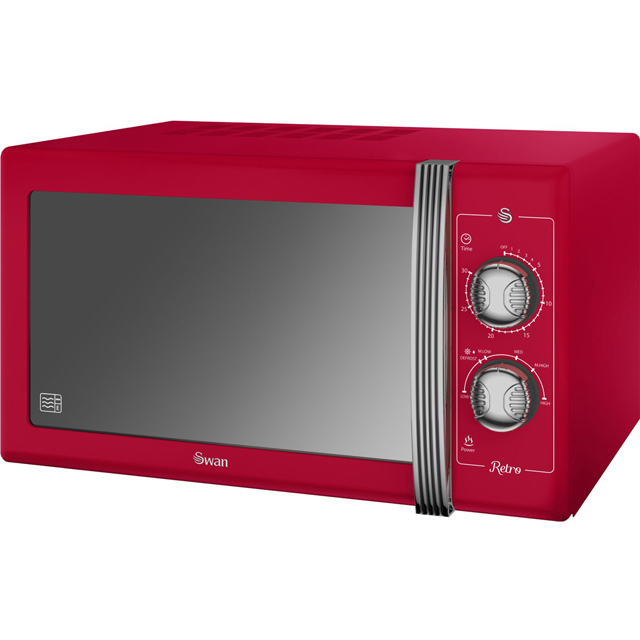 Bursting with eye-catching retro style, this great red microwave oven from Swan would be a welcome addition to your kitchen. 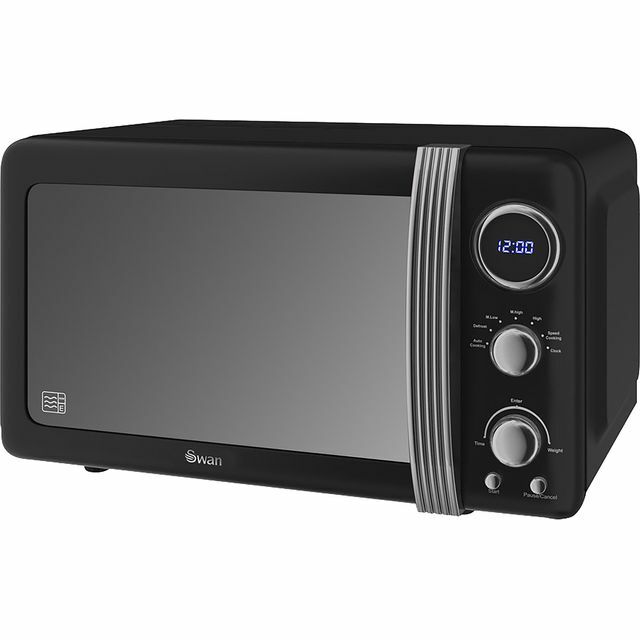 With a 25 litre capacity and 900 Watts of power, it’ll quickly prepare a variety of meals and snacks in any small household. This model has a defrost function which comes in really handy for safely thawing pieces of chicken for dinner, too. There’s also a useful mechanical minute minder, so you’ll always know when your food is ready, and thanks to the simple control dial, it’s easy to select your settings as well. Really powerful and we love the retro style. The only issue is that it does not have seconds settings so you cannot heat anything up for let’s say 30 seconds! Apart from that it is brilliant and easy to use ?? Very simple controls, easy to use straightaway. Good size and works well - my only slight criticism is that the ‘retro’ detailing are a bit cheap looking and not really necessary but that doesn’t alter its performance. 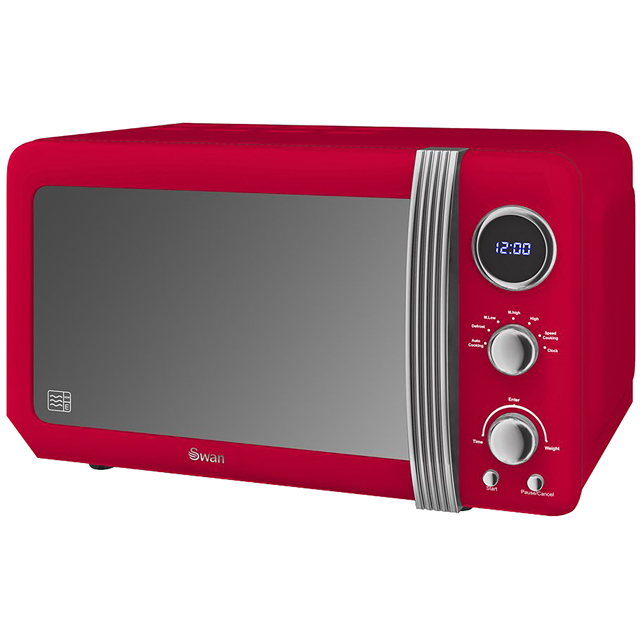 Love this microwave. Looks great in my kitchen. Cooks , re heats extremely well. Large and powerful enough to do anything you want. Build quality excellent. Definitely recommended. 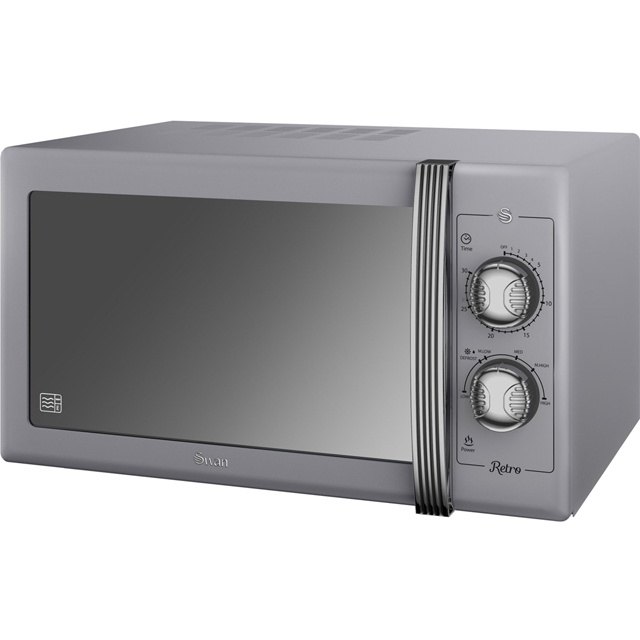 Everything about this Microwave is great. Does what is says on the tin! Had great comments and looks beautiful in my red kitchen.